An excellent all-round board that's only really let down by a lack of USB connectivity out the box. 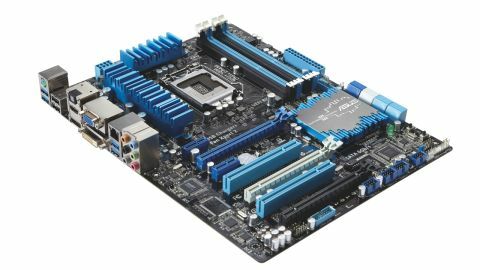 Of all the Z68 boards that stalked through our labs in the last generation the Asus P8Z68-V Pro was one of our all-time favourites. This Asus P8Z77-V Pro update promises much in the same vein of price/performance metrics and with a serious feature set to boot. This Z77 flavour of Asus' special Intel sauce is another well laid out slice of black and blue styling with more than enough features to cater for all but the very enthusiastic enthusiasts. That's what its Asus Sabertooth Z77 and crazy high-end Asus Republic of Gamers Maximus V Gene boards are for. That's not to say it's lacking in any department, as much as the Sabertooth and RoG boards are overclocking monsters this Asus P8Z77-V Pro is certainly no slouch. We're certain that with some serious tweaking and voltage-messing you could push the higher-end Asus boards over the 4.8GHz we've seen as the limit for the Intel Core i7 3770K, but this little bargain board matches that speed with consummate ease. It's a close run thing between the Asus and Gigabyte boards, but at stock speeds the Gigabyte Z77X-UD5H has the edge, if only by a hair's breadth. Thanks to the higher default Turbo we experience with these boards it pushed them ahead of the other competing Z77s. When it came to the overclocking though Asus took back its crown, shading the Gigabyte board in Cinebench with scores of 9.69 vs. 9.65. As we say, shading. But when you think the top-end desktop chip, the hexcore Intel Core i7 3960X hits 10.54, the Asus board with the Ivy Bridge CPU getting within 0.85 of a mark is impressive for a quad-core.